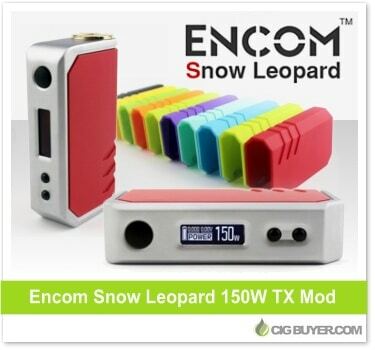 Loaded with power, the Encom Snow Leopard 150W TX Mod is a great looking new device from Encom. Powered by dual 18650 batteries, it provides up to 150W of output with temperature control – firing as low as 0.05 ohms. The Encom Snow Leopard Mod includes a lightweight, ergonomic zinc alloy body, and the battery cover acts as a detachable shell, with numerous colors available to customize the look. It also includes OLED screen, USB charging and spring-loaded 510. Encom Voidray 60W Box Mod – ONLY $19.99!